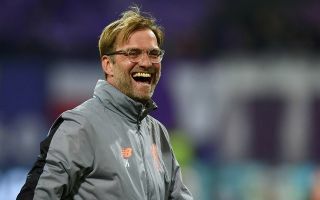 Liverpool boss Jurgen Klopp sounded positive on Friday as he discussed the current injury concerns in his squad at a crucial time in the season. The Merseyside giants have slipped up in recent weeks with draws against Leicester City, West Ham United, Manchester United and Everton allowing Manchester City to leapfrog them into top spot in the Premier League table. With key fixtures coming up and the Champions League to think about, Klopp will undoubtedly be eager for some positive news on the injury front moving forward, and the German tactician sounded relatively pleased when discussing Joe Gomez, Dejan Lovren and James Milner. Further, Alex-Oxlade Chamberlain will make his comeback for the U23s side on Friday, and he’ll hope to push on and be in contention to play a part to Liverpool’s campaign. “Joe is now running with 100% of his weight because we have different opportunities to run. He is now 100% (running), that’s good. It looks good,” he is quoted as saying by the Liverpool Echo. “Dejan trained yesterday for the first time, completely normal. But we have to see. He was out for a while so we have to see his fitness. He’s not injured any more, he is fit but how fit we have to see. “Millie we will have to see. It’s Millie, everything heals quickly with Millie but he was already outside yesterday. He had a little bit of a muscle issue but still a few days to go until the game and if you ask Millie he will be ready. With the title on the line still along with the desire to go one better than last season in Europe, having a fully fit squad at his disposal will be huge for Klopp. Having had their stumble in recent weeks, he’ll hope that they can get back to winning ways against Burnley this weekend, and that his returning stars will play a fundamental role in helping them win major honours before the campaign is over.